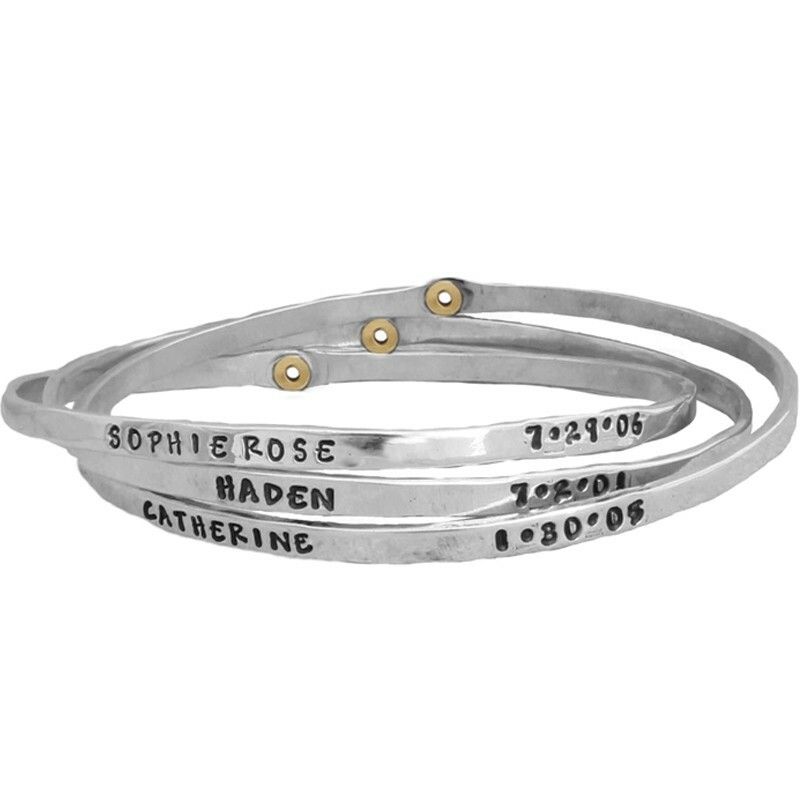 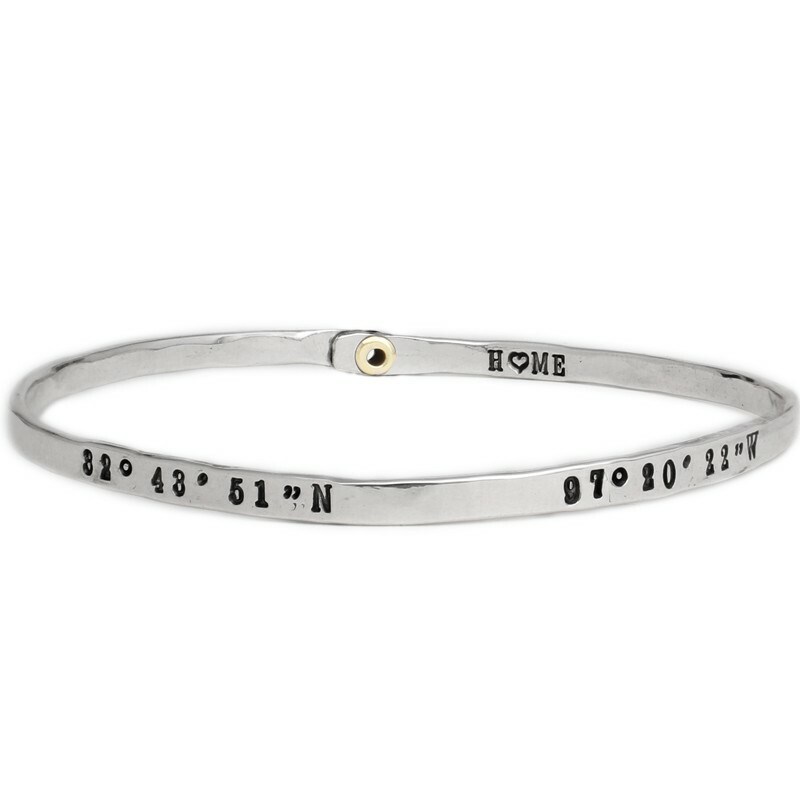 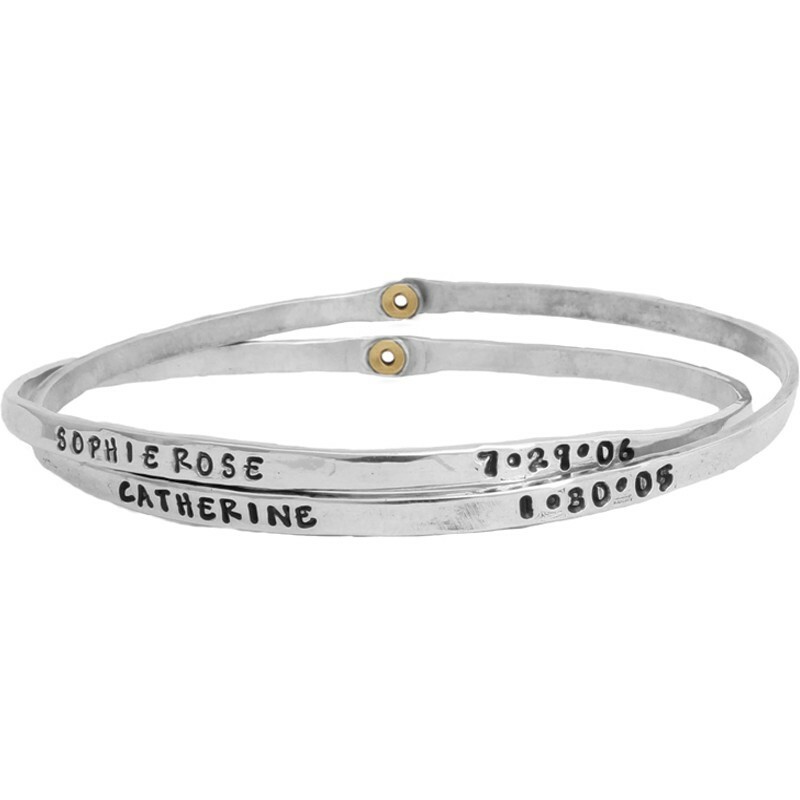 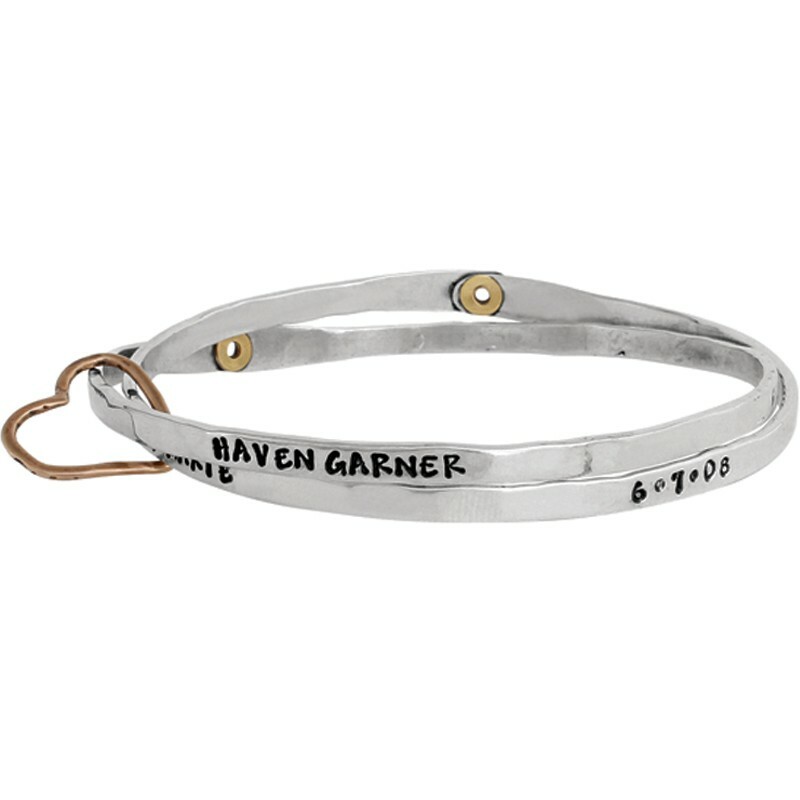 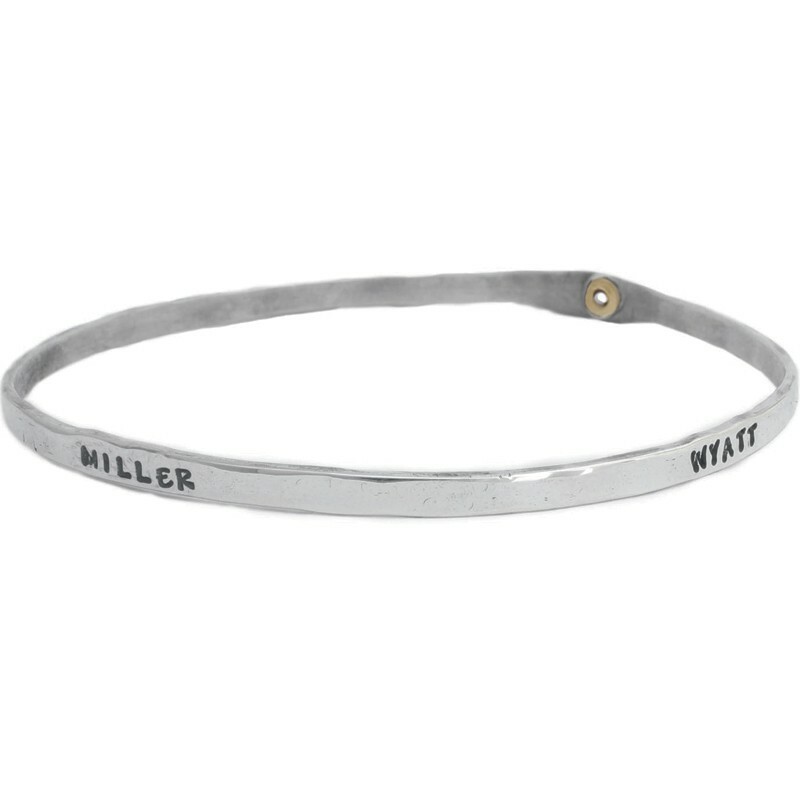 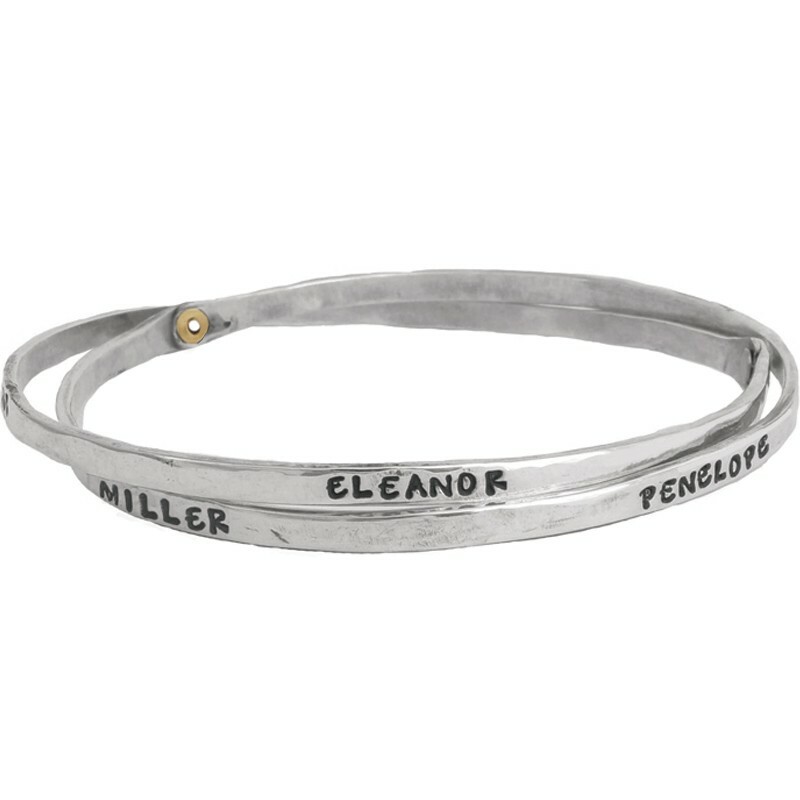 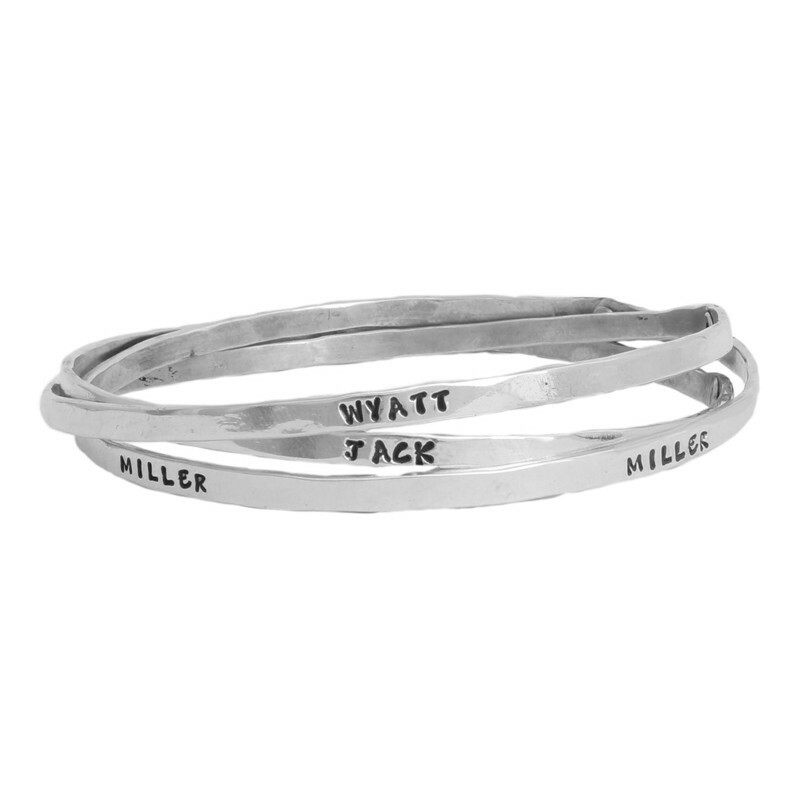 Our hand stamped, custom made bangle bracelets offer a unique gift for mothers that will surely be adored. 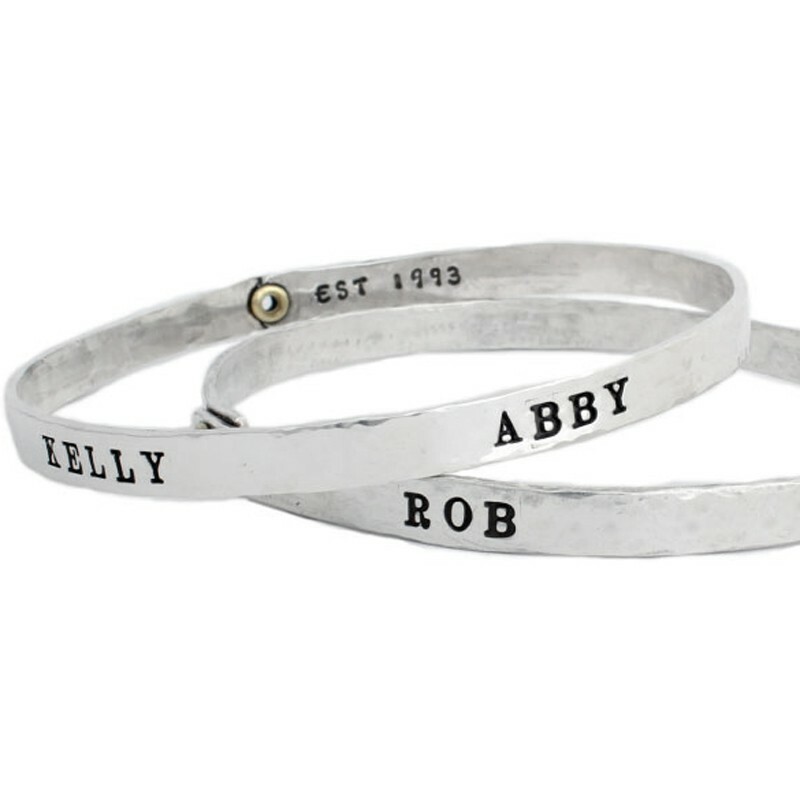 Our family bracelets are a personalized way to show off those you love. 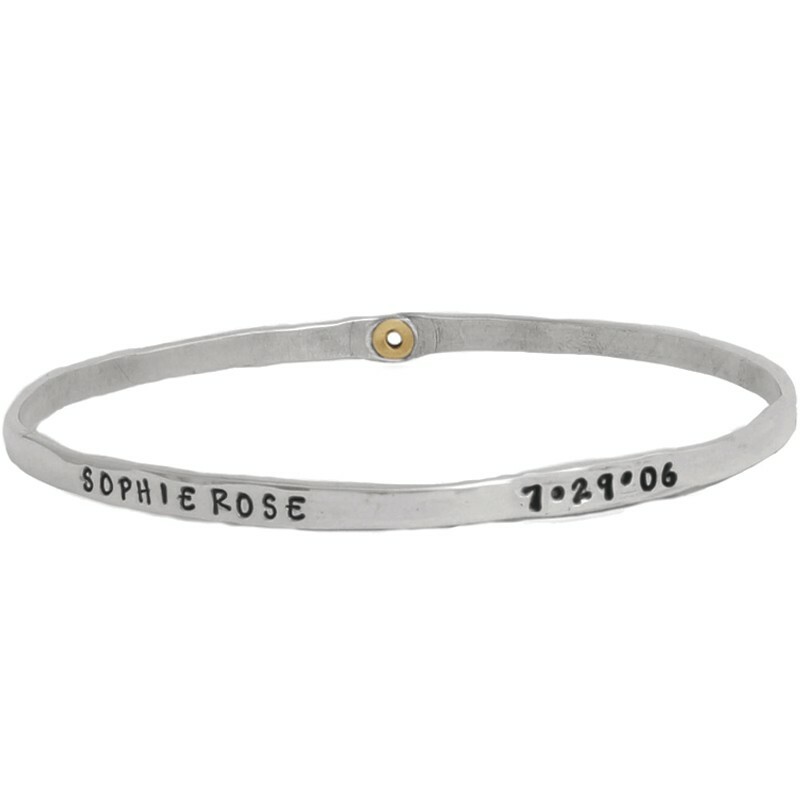 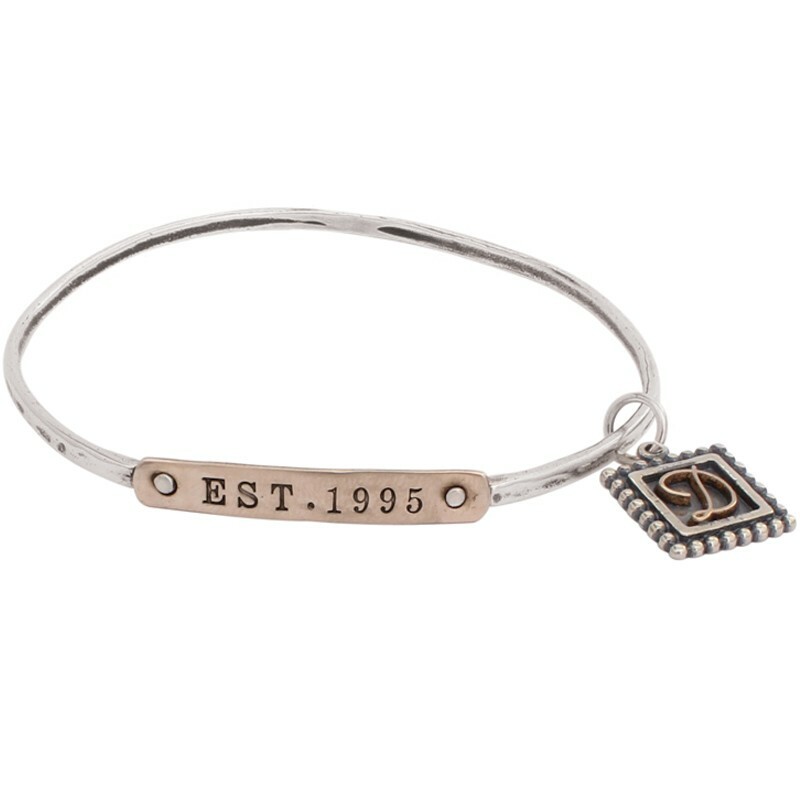 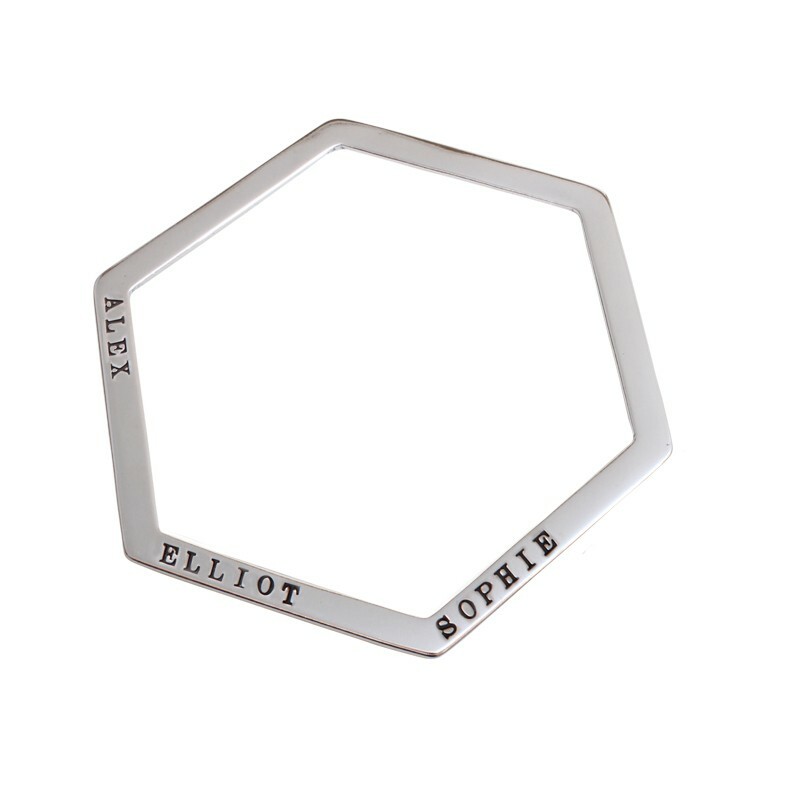 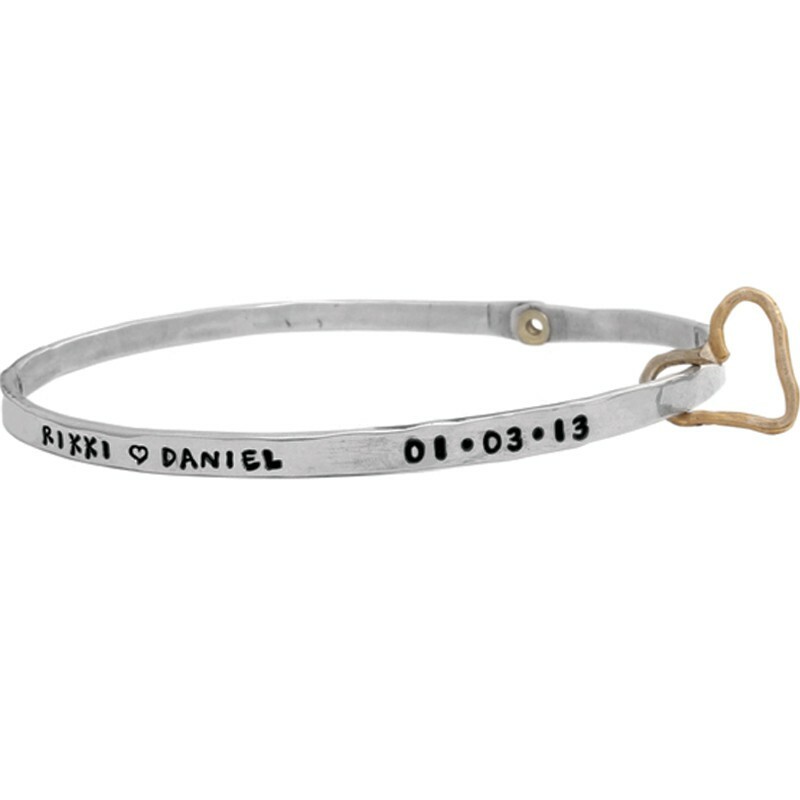 Whether you're looking for customized jewelry for a new mom, or one with a growing flock, capture their imagination with stamped personalized bracelets that are sure to be a hit.